Reliable Dumpsters is your source for roll off dumpster rentals and waste management solutions. We provide a hassle free solution for roll-off container rentals for projects of all sizes. We make sure your dumpsters is on time and that you get the right dumpster size to fit your specifications. No matter if you have rented dumpsters before of this is your first time, we can provide you with all the information you need to make sure that your roll off rental is a success. We have the knowledge and experience to make sure you get the right size roll off container for your project. Call today and get a reliable dumpster service. 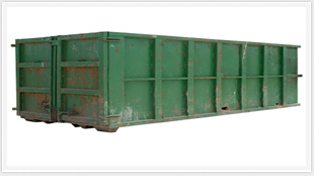 Before you rent dumpsters, it is important to decide what size container best fits your needs. 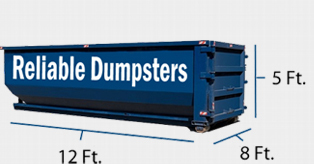 Click below for an explanation of sizes and common uses for roll off dumpsters. Thank you, and thank you for putting a rush on it. Mr. Alford only has the back hoe until 4:00 so he really needs it there before 3:00. Earlier if possible. I appreciate the customer service from Mark this morning. He was great! - Jaime H.
Thank you for getting out the dumpster on such short notice, it was perfect for our clean up project. Please have it removed tomorrow, anytime. - Carolyn B. Local laws, landfill policies and good environmental practices require that we prohibit a number of materials from being disposed of in our roll off dumpsters. We understand that not being able to throw certain items away is a bit of an inconvenience, but these rules are in place to protect the areas that we live in and our overall health, and they must be followed. Below is a list of some items that Reliable Dumpsters typically cannot accept in our dumpsters; items may be added or removed depending on the particular laws in your city. 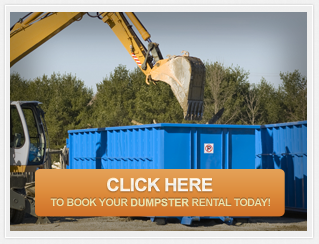 Reliable Dumpsters service is available in a number of cities across the US. We have booked thousands of dumpsters all over the country. Choose from our top cities or click below to see a comprehensive service area list. © 2013 Reliable Dumpsters. All Rights Reserved.